1. We fight disease around the world. 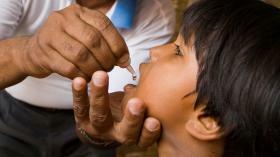 For decades, rotary has been a leader in the battle against Polio and has kept the pressure on as worldwide cases plummeted from 350,000 in 1988 to only 15 cases so far this year. We're closer than ever to ending this devastating disease. Your impact will be even greater, thanks to a 2-to-1 match from the Bill and Melinda Gates Foundation. All donations (up to $50 million) to end polio will be tripled, providing critical funding to our work to create a polio-free world. 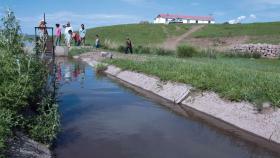 Through our grants-projects program we work with communities to provide safe drinking water. 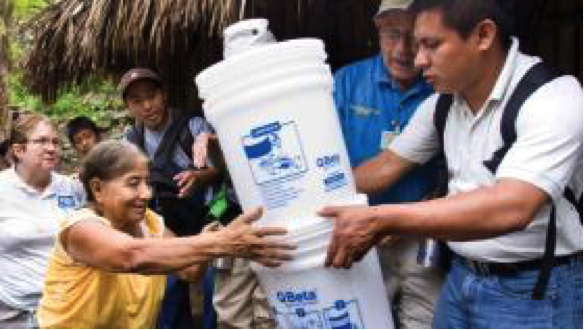 Just $50.00 will provide a water filter which helps to rid deadly waterborne diseases. If the people have a personal water filter it gives them clean water to use for drinking and cooking. One person in every 10 does not have access to safe water, and 2.3 billion lack access to adequate sanitation. One consequence: 900 children under age five die each day from diarrheal disease. Nearly 800 million people live on less than 1.90 a day. 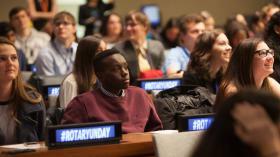 Rotary is working to strengthen local entrepreneurs and community leaders. An example is that $2,650 will provide an irrigation system which helps to give farmers a reliable and efficient water source to grow crops and provide food for the community. In Tanzania, we help albinism find safe, healthy livelihoods. 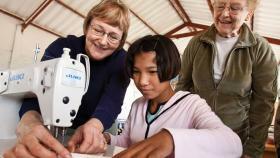 In Ecudor, Rotary has made 250 micro loans and trained more than 270 people in job skills and management. We partner with other NGO's to help local economies find markets and new customers to support their business. Each year, armed conflict and persecution displace, injure, or kill millions of people. More than 90 percent of them are civilians, and half are children. Rotary projects provide training that fosters understanding and provides communities with the skills to resolve conflicts. Out members ar taking action to address the underlying causes of conflict, including poverty, inequality, thence tension, lack of access to education, and unequal distribution of resources. 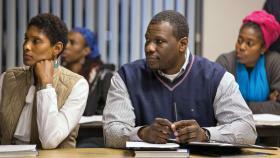 With only $1000 secondary schools can implement a program to teach students to resolve conflict. so they can build more peaceful and secure future for themselves and their communities. An estimated 5.9 million children under the age of five die each year because of malnutriotn, inadequate health care and poor sanitation. More than 800 women die every day from birth-and pregnancy related complications. 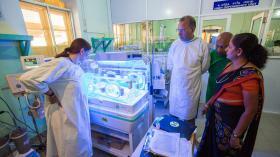 Rotary is saving lives by supplying birthing kits, immunizations, neonatal care equipment and medical training. With access to quality care, mothers and children live longer and healthier lives and Rotary is providing that care. Our goal is to strengthen the capacity of communities to support basic education and literacy, reduce gender disparity in education, and increase adult literacy. We support education for all children and literacy for children and adults through mentoring, scholarships, teacher training and access to learning opportunities.